White House economic adviser Gary Cohn is reportedly considering an exit from the White House. 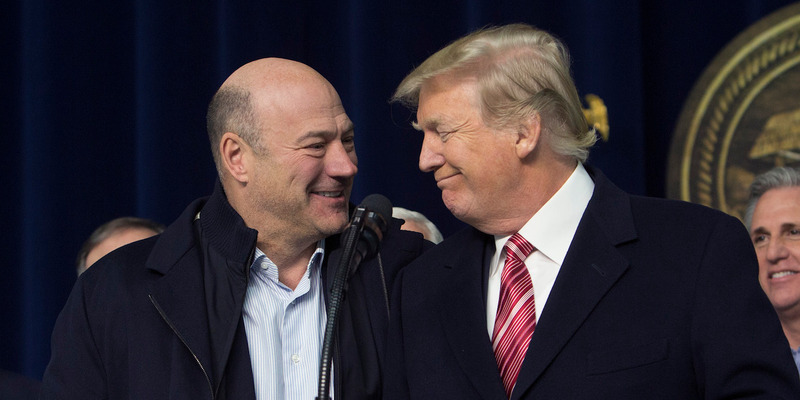 Rumours of Cohn’s possible departure come after President Donald Trump announced new tariffs on steel and aluminium. Cohn had been pushing against the tariffs because he views protectionist trade measures as detrimental to the US economy. Gary Cohn, the top White House economic adviser, is eyeing the exits after President Donald Trump rejected his advice on tariffs. Politico’s Ben White and Andrew Restuccia reported Cohn fought hard against the tariffs on steel and aluminium Trump announced unexpectedly on Thursday. A former Goldman Sachs executive, Cohn argued that restrictions on trade were backwards thinking and would only hurt the economy. Despite Cohn’s urging, the president sided with more protectionist members of his administration like Commerce Secretary Wilbur Ross and trade adviser Peter Navarro and went through with the tariffs anyway. In addition to passing tax reform, one of Cohn’s key concerns was attempting stave off any tariffs that could provoke a broader trade war with other countries. Cohn was waiting until Trump made a decision on tariffs before deciding whether or not to leave, wrote The New York Times’ Mark Landler and Maggie Haberman. Cohn’s departure from the White House has been long rumoured. The adviser even admitted that he considered leaving the Trump administration after the president’s remarks that there were good people “on both sides” of the violence in Charlottesville, Virginia. Now with tax reform finished and Trump rejecting Cohn’s suggestions on trade, the time may finally have come for his departure.